BEST FIGHTER FOR CANADA: Rafale: Jacques-of-all-trades? 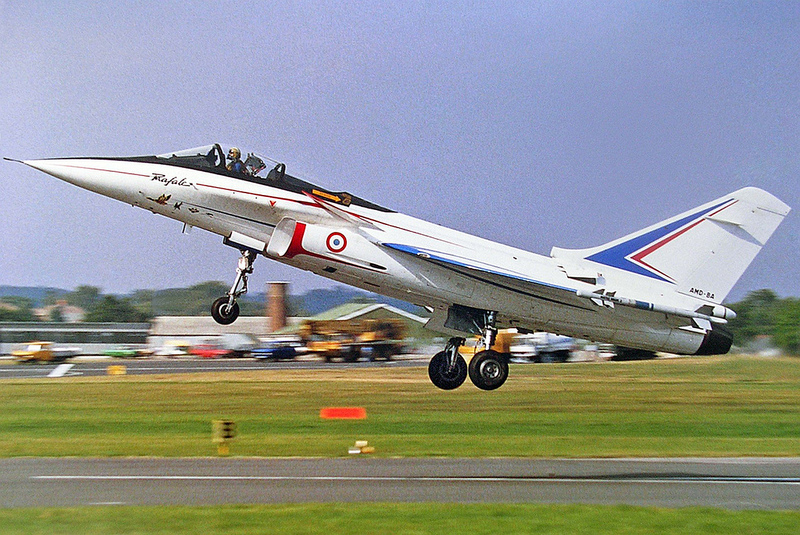 Billed as an "omnirole" fighter, the Dassault Rafale was specifically developed to act as France's sole strike fighter platform. As such, it had to perform any and all roles needed for a fighter. Equally adept at air superiority, strike missions, and even carrier operations, the Rafale is truly a "Jacques-of-all-trades". At first glance, the Rafale may seem to an impeccable choice to replace the CF-18. It is truly a capable and flexible platform used by a close NATO ally. 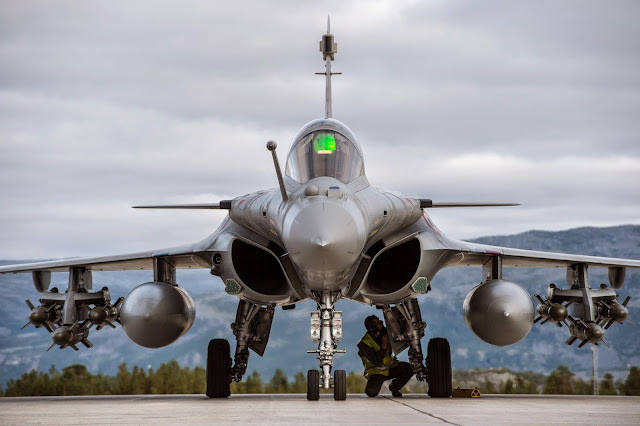 Dassault has also been aggressively marketing the Rafale, offering technology transfer, intellectual property rights, and the option to manufacturer parts or even final assembly. While a few other nations briefly flirted with joining in on Rafale development, ultimately France went it alone. Doing so provided an excellent opportunity for France's aerospace industry, as the Rafale would truly be a "home-grown" aircraft utilizing locally-sourced components and weapon systems. Since its introduction in 2001, the Rafale has participated in combat missions over Afghanistan, Iraq, Libya and Mali. While export sales were initially sluggish, Dassault has had some recent success selling the Rafale to Libya, Qatar, and Egypt. India selected the Rafale as the winner of its MMRCA, that process has become increasingly bogged down however. What was initially meant as an order for 126 fighters has dropped to 36... With no real resolution in sight. It is hard to say if this is an issue with Dassault or India (or both). Prospective buyers would likely be double-cautious either way. The Rafale is considered a "4+" generation fighter. As such, it bridges the gap between older Cold War-era fighters (like the F/A-18 and Mirage) and more modern "5th generation" fighters like the F-35 and PAK FA. Although it lacks a stealthy design, it does take advantage of radar absorbent materials and other tweaks to give it a smaller radar cross section (RCS). While the Rafale's stealthiness may not be considered "5th gen", its sensor capabilities can. Utilizing an RBE2 AESA radar, front sector optronics (which incorporate IRST), and the powerful SPECTRA EW suite. 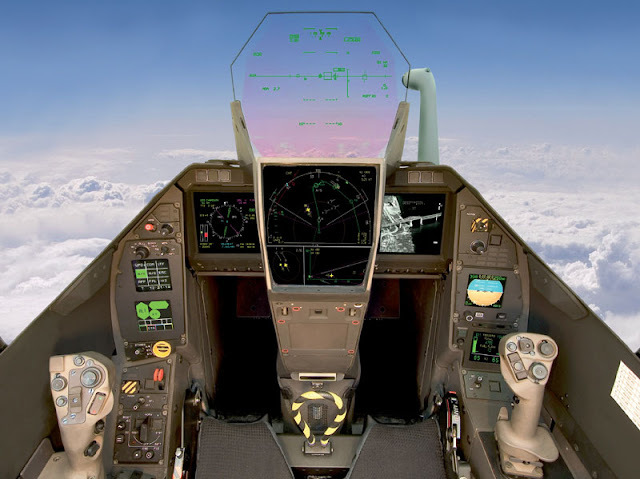 One glaring omission for the Rafale is the lack of a helmet mounted display (HMD) in current operational use. While the Rafale has been tested with one, it has yet to make it to operational use. France, the sole operator of the Rafale thus far, has yet to fund its inclusion. With two Snecma M88-2 turbofans, the Rafale can reach speeds of mach 1.8. Better still, the Rafale is capable of supercruise (going supersonic without afterburner), even when equipped with four missiles and an external fuel tank. The Rafale's close-coupled canard/delta configuration provides excellent high-speed agility while also improving lift at low-speed/high-AoA maneuvers. The Rafale can easily hit 9g turns and accelerate quickly thanks to its (fully fueled and armed) .988 thrust-to-weight ratio. Able to mount up to three external drop tanks, the Rafale enjoys a range of over 3,700km. The Rafale could also soon be available with conformal fuel tanks (CFTs) as well. Much like the rest of the aircraft, the Rafale's weapon systems are decidedly Gallic in origin. Currently equipped with French designed (and built) MICA air-to-air missiles (both IR and RR guided), the Rafale will soon see the inclusion of the MBDA Meteor missile as well. For strike missions, the Rafale utilizes the locally-sourced AASM (Armement Air-Sol Modular) family of precision-guided munitions. The AASM (also known as the "Hammer") mounts a rocket booster and guidance package to an otherwise "dumb" bomb. This converts it to IR, laser, or GPS-guided air-to-ground missile. With warhead sizes ranging from 125kg to 1000kg, the AASM offers plenty of options. 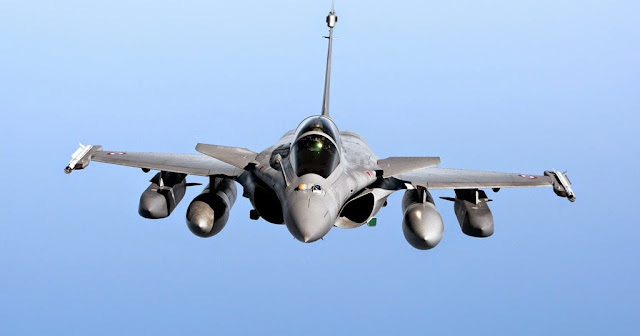 The Rafale also has the option of using the US-designed "Paveway" family of guided bombs. For missions requiring an even bigger "bang", the Rafale can utilize the Exocet anti-ship missile (made famous in the Falklands war), the SCALP/Storm Shadow stand-off missile, and the 300kt Air-Sol Moyenne Porte (ASMP) nuclear cruise missile. For smaller jobs, the Rafale mounts a 30mm GIAT auto-cannon. Low-collateral damage MBDA Brimstones may also see future use. 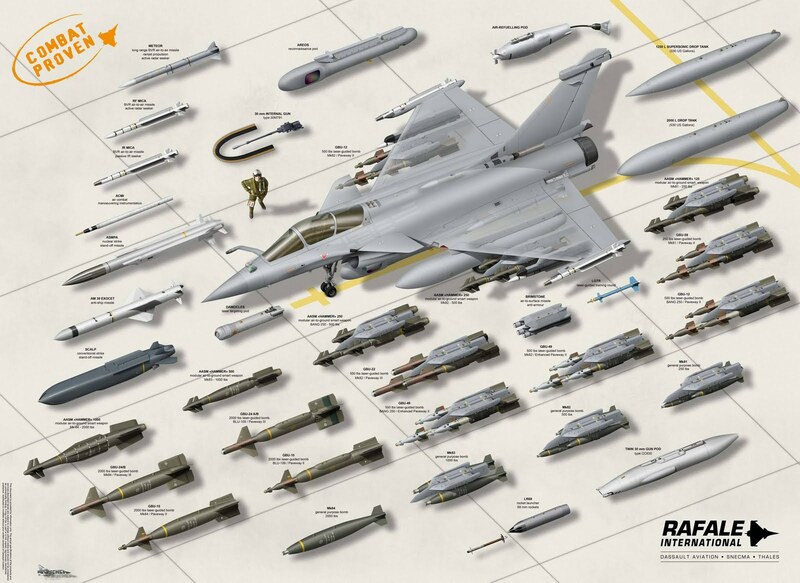 It should be noted, that out of all the Rafale's current weapon selection, only the Paveway family of guided bombs and the Mark 80 series of "dumb" bombs are currently used by the CF-18. Is it right for Canada? Unlike the F-35, Dassault has offered to provide Canada with full intellectual rights, source codes, and even local assembly as part of a purchase deal. The RCAF would have the option to "Canadianize" the Rafale as they saw fit, adding whatever modifications, weapons or technology that they saw fit. While this certainly seems like an attractive option, a similar deal with the Indian government has hit a seemingly endless array of obstacles. Not only did Indian assembly greatly increase the cost of acquisition, but Dassault refused to be responsible for the quality of Indian-made Rafales. 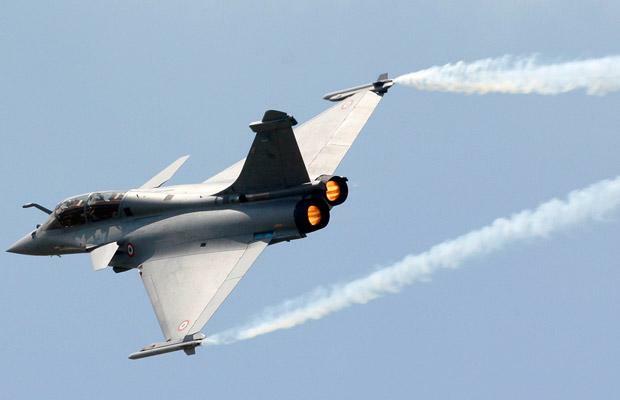 Eventually, both sides hit an impasse and India has now reduced its order from 126 down to 36 French-made Rafales. For Canada, the Rafale would likely require several modifications to make it suitable for RCAF service. First of all, it would have to adapt to Canada's current stockpile of CF-18 weapons like the AIM-120 AMRAAM and AIM-9 Sidewinder. Acquiring MICAs and the like would likely be a nonstarter due to logistic and cost issues. Canada would also need to amalgamate an HMD into the Rafale or lose a capability that currently exists in the RCAF. Being a carrier-capable fighter like the CF-18, the Rafale should have no issue operating from any of the RCAF's airbases. It is also compatible with the probe-and-drogue method of aerial refueling used by the CC-150 Polaris. What are its chances of replacing the CF-18? As capable as the Rafale is, this will not be enough to woo the decision-makers in Ottawa. The Rafale has two very large strikes against it: Politics and risk. Politically, Dassault just does not have the lobbying power of the American defence giants Boeing and Lockheed. The Eurofighter Typhoon enjoys the political weight of four nations (UK, Germany, Italy, and Spain). Even tiny Saab can exert greater amount of persuasion thanks to its use of Bombardier airframes and GE-sourced engines. The Rafale also represents a substantial challenge to the risk-averse. Dassault's long-running problems with India enough to give pause, even if they are not of Dassault's doing. Also, converting the Rafale to utilize the CF-18's weapon stockpile adds additional cost, time, and risk. This does not bode well given the worries about a "capability gab" if new fighters are not put into service soon. Out of the five fighters, the Rafale could very well be the "long shot" of the bunch. It is possible, but the smart money would be on another.